Crank-connecting rod is the most fundamental and typical mechanism, classifying as one of the most important inventions in ancient China and in the history of mechanical technology. 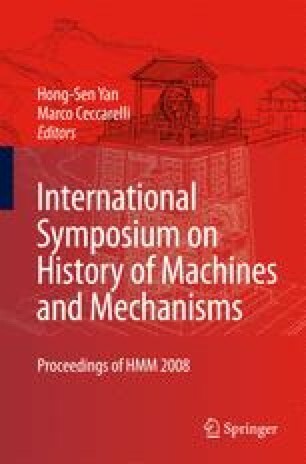 This paper firstly describes the three applications of this mechanism in ancient China, i.e. agriculture, textile, and blowing-engines. This paper then discusses the origin of the mechanism through reviewing ancient Chinese literature and unearthed cultural relics.